Cominar Real Estate Investment Trust (CUF.UN-T) will sell its entire non-core market portfolio, 97 properties valued at $1.14 billion, to Slate Asset Management in one of the largest commercial real estate transactions announced in Canada in 2017. Cominar REIT is selling $1.14B in non-core market assets to Slate Asset Management. It also intends to sell up to $1.5B in core market properties in 2018. Cominar expects to finalize this core property review by mid Q1 2018 and to sell the properties by the end of 2018. “This value-enhancing initiative will allow us to capitalize on our leadership position in our core markets. With this greater focused portfolio, Cominar will be better positioned to maximize the value of its assets,” said Sylvain Cossette, who is currently president and chief operating officer of Cominar, but will become CEO on January 1. Cossette will be taking over the position from current CEO and chairman of the board Michel Dalliare, who announced his intention to step aside as CEO in November. Cominar had announced on Aug. 22 its plan to divest all non-core market assets as part of a debt reduction plan, as well as its intention to focus on its core markets in the Province of Quebec and in neighbouring Ottawa. The Monday morning release calls the transaction with Slate a “definitive agreement.” Closing of the transaction, however, remains subject to customary closing conditions including regulatory approvals, and is expected by the end of March 2018. The portfolio is being purchased by Slate’s Canadian Real Estate Opportunity Fund I. The fund acquires “commercial real estate through complex portfolio acquisitions, cyclical investing and/or asset repositioning opportunities,” according to Slate. The non-core market portfolio is composed of 97 properties totalling 6.2 million square feet located in the Greater Toronto Area, the Atlantic provinces and in Western Canada. The portfolio includes 24 properties in the Greater Toronto area, comprising almost 2.5 million square feet. In the Atlantic Provinces, there are 59 properties covering 2.6 million square feet and in the Western Canada portfolio there are 14 properties of 1.1 million square feet. The office portion of the portfolio is almost three million square feet spread over 37 properties. There are also 37 industrial / mixed use properties totalling 1.7 million square feet and 23 retail sites of 1.5 million square feet. Individual properties in the portfolios included the Scotia Centre office tower and retail podium (606,000 square feet) in Calgary, a cluster of 12 industrial buildings (495,000 square feet) in Mississauga, Ont., and the Dixie Outlet Mall (406,000 square feet) also in Mississauga. The sale portfolio is comprised of both income-producing properties (approximately 90 per cent of the assets), with the remainder being land and properties under development. * More insight: Are there buyers for Cominar REIT portfolio? The overall capitalization rate of the income-producing properties to be sold is estimated at 6.2 per cent, including 5.3 per cent for the Greater Toronto Area. Following the transaction, Cominar will not own any properties in Western Canada, the Greater Toronto Area or the Atlantic Provinces. The majority of the proceeds from the sale will be used to reduce Cominar’s indebtedness by approximately $875 million — the entire amount currently outstanding on its credit facility. The aggregate gross sales price of the Greater Toronto Area and the Atlantic provinces’ income-producing properties is in line with their aggregate book value. Cominar says in the release that, given the continued challenges in the Calgary market, it is writing down the Western Canadian assets by $275 million. “We are very pleased with the successful execution of the disposition plan and the sale of our entire non-core market portfolio in one transaction. 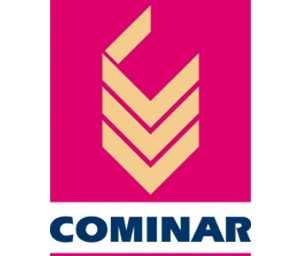 This transaction will enable Cominar to capitalize on its core markets while also strengthening its balance sheet,” said Michel Dallaire, chairman of the board of trustees and chief executive officer of Cominar, in the release. Slate will assume approximately $107.1 million of mortgage debt and Cominar will repay $164.5 million of mortgage debt. Cominar is the third largest diversified REIT in Canada and (as of Dec. 18) remains the largest commercial property owner in the Province of Quebec. The REIT owns 524 properties in three different market segments; office, retail, and industrial and mixed-use. Cominar’s portfolio totals 44.1 million square feet across Quebec, Ontario, the Atlantic Provinces and Western Canada. Cominar’s objectives are to pay growing cash distributions to unitholders and to maximize unitholder value through proactive management. Slate has more than $4.5 billion in assets under management. Slate was formed in 2005 and has since expanded from Canada across North America and Europe with exposures in multiple asset classes. It currently employs more than 60 professionals, and works with multiple capital sources from institutional and pension fund investment partners, to private equity, family offices and public markets. STAY TUNED: RENX will update this breaking story with more information as details become available.